Many Jews today work and mix with those who are not Jewish, form relationships and some of these result in marriage. 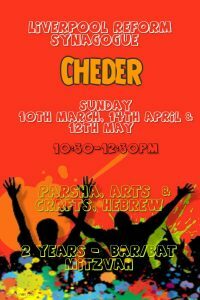 Ideally, Judaism has always encouraged same faith marriages so that a couple are in religious unison, sharing the same home practices and festive calendar and to provide a strong Jewish upbringing for any children they may have. Particularly in more Orthodox Synagogues, they may shun Jews who have a non-Jewish partner and see the marriage as invalid, Reform Judaism accepts the reality of the situation, recognises their marriage and accepts the choice that has been made. 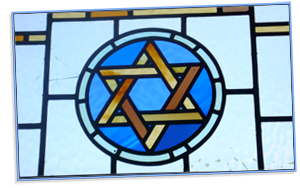 Reform Judaism is also aware that the Jewish partner may well have a strong Jewish identity and wish to continue their links with Jewish life. We recognise that the Jewish partner values both their non-Jewish spouse and their Jewish heritage. Therefore, he or she is welcome to join a Reform synagogue, attend services or other events. The non-Jewish partner is always treated with respect and welcome both at services or other events. The possibility of conversion is an option, but our welcome is not dependant on it. 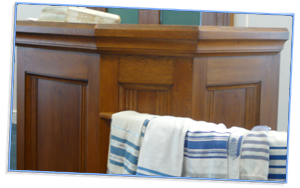 We can also offer an ‘Introduction to Judaism’ course which offers a simple guide to Jewish practices and beliefs for non-Jewish partners who do not want to convert, but who do wish to know more about Jewish life and tradition. Reform Judaism follows the principal of matrilineal descent. 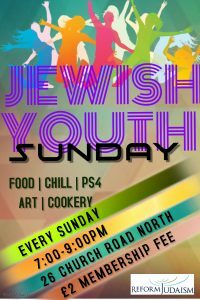 Children can only be considered Jewish if either their mother was born Jewish or has converted to Judaism before the child was born. Children can otherwise undergo their own conversion in a process adapted to suit their age and circumstances.